The Minister of Power, Works and Housing, Mr Babatunde Fashola, on Friday urged the body of lecturers in tertiary institutions to take demand for increased funding for their institutions to the National Assembly. Fashola spoke at the 60th anniversary of the Nigerian Society of Engineers in Abuja. Reacting to the comments of the anniversary’s guest lecturer that tertiary institutions in Nigeria were poorly funded and that this had warranted the production of half-baked graduates, the minister stressed that lecturers should be bold to take the case to the National Assembly. Fashola said, “On why I disagree with some of the things that the guest lecturer stated, the question I asked the NSE President (Adekunle Mokuolu) is that who runs the schools? And he (Mukuolu) said it is the lecturers. And I said to him, if the budget for the schools is not enough, who should make case? 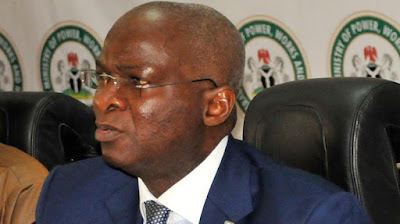 On issues raised by the lecturer as regards the power sector, the minister stated that the current administration met over 800 power equipment containers at various ports in Nigeria but noted that government had so far been able to clear and recover about 690 of the electricity transmission equipment containers. He further stated that government was borrowing to invest in infrastructure and not for consumption as speculated in some quarters, adding that several roads had been constructed, while work was ongoing on many other projects. Earlier in his address, the NSE president stated that the society’s core advocacies had over the years targeted the promotion of economic diversification and pursuit of industrialisation by the government. Mokuolu said, “We have decried the huge infrastructure deficit in the country and at every opportunity proffered engineering solutions to bridging the gap. NSE has always held the strong conviction that Nigeria can only achieve its desired self-reliance and economic growth through deliberate utilisation of indigenous technology.